How to interpret China's talk of a carbon "cap"
Global climate politics started to heat up this week. 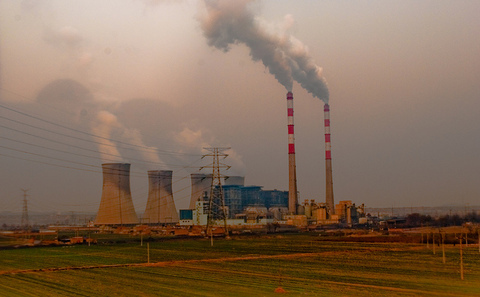 One day after the US unveiled its carbon dioxide (CO2) control plan, Reuters reported that He Jiankun, a senior Chinese researcher, had said that China might introduce absolute CO2 emission control in the upcoming 13th Five-Year Plan period (2016-2020). Whether or not this is an intended round of rhetorical ping pong between the two major emitters, the reference to absolute CO2 emission control on the Chinese side, often dubbed not entirely correctly as a “CO2 cap” (see explanation below), offers an opportunity to map the possible contours of China’s future climate plan. On the one hand, He's view does not represent the government (He is chairman of China's advisory committee on climate change). On the other hand, the notion of introducing an absolute CO2 emission control is not entirely unforeseeable. In fact, it is both a natural and an important next step for China’s climate governance. Here, a quick review of China’s recent climate policies will help understand the context better. Over the past decade, the country has taken a pragmatic step-by-step approach to setting climate and energy targets. In the current 12th Five-Year Plan period (2011-2015), China has adopted a so called “double-control” measure on energy consumption, namely to regulate both energy intensity and absolute energy consumption (so called “energy cap”). What differentiates these two measures is whether or not they are legally binding. As part of China’s overall pre-2020 climate commitment, its energy intensity target is strictly legally binding. In contrast, the energy consumption target is only aspirational. On the CO2 front, however, China has yet to employ such a “double control”, leaving only a CO2 intensity target in effect in this five-year plan period. It is therefore a natural extension of Chinese climate policy to bring the absolute dimension on board over the next five-year plan period. If China does indeed add a “CO2 cap” into its 13th Five-Year Plan, it is an effort that should be welcomed. For regulators, it is no small step to add in a new CO2 dimension, which would not only require a new line of reporting but also force improved measurement, reporting and verification at all levels of jurisdiction. The international implications are also worth noting. Following a step-by-step logic, it is reasonable to expect a domestic absolute CO2 control measure in the 13th Five-Year Plan period to be translated into some type of absolute CO2 rule internationally in the 14th Five-Year Plan period, or the post-2020 period. What matters at the end of the day is of course the CO2 emission figure. One caveat is that the term “CO2 cap” generates a misperception that it is mandating a declining target. The fact is that the 13th Five-Year Plan cap (if indeed there is one) will very likely be one that still allows room for emission growth. It is in this context that the absolute CO2 emission figure proposed for 2020 and any future policy reference on emission peak will be critically important. At this stage, one thing is absolutely clear: in terms of China’s emissions peaking, the climate cannot wait until 2030.